Private training no more than 6 per class! Interest free instalment plans available! This course is the ideal starting point for Hairdressing training. Based in Hornchurch Essex, this fast track course enables you to gain a nationally recognised qualification. The course will consist of training two days per week at our training academy, but also home case study work and portfolio building. 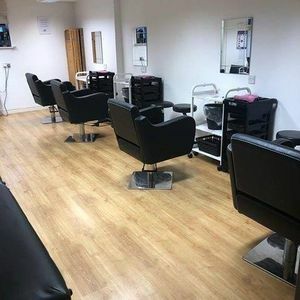 Models and students are required to come into the academy for a patch test at least 24 hours before all colouring treatments.